Many of us were expecting Apple to launch a cloud based version of iTunes this year, although now it looks like we wont see anything from Apple until next year. 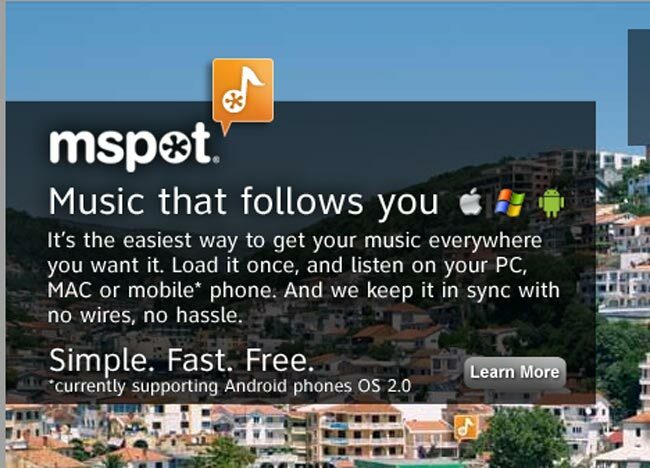 mSpot is a new service for Apple devices that lets you store your iTunes music collection in the cloud, once you have uploaded your music to the mCloud service you can access it from your iPhone, Mac or PC and stream your music directly from the mCloud service. mSpot offers both a basic service which is free, and you get 2GB of storage with this, enough for about 1600 songs, they also offer a premium service which will give you 40GB of storage and this will cost you $3.99 a month.